This is a project to enable modern students to find out first-hand what the ancient world was really like by attending a re-created ancient school. 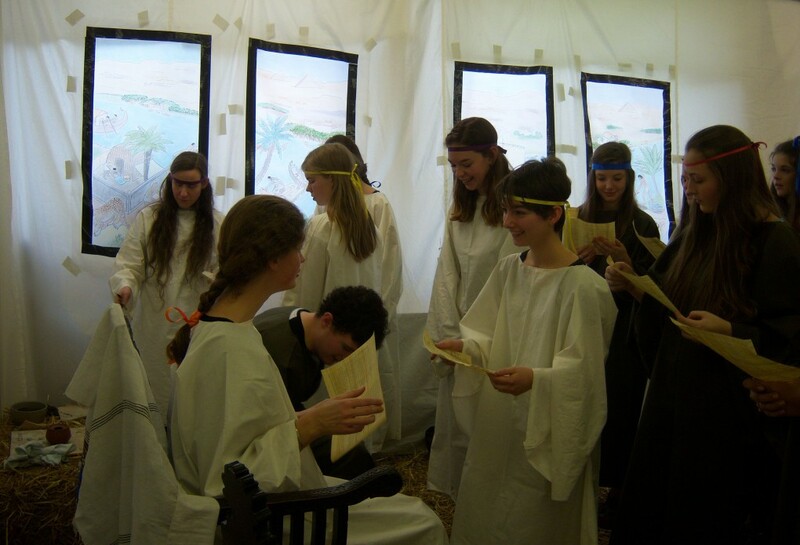 Based on meticulous research into schooling in the ancient world (much of it conducted at the University of Reading), the Reading ancient schoolroom takes place in a replica of an ancient classroom, in which all participants wear Roman costumes and use replica ancient writing materials including wax tablets, styluses, reed pens, inkwells, ostraca, and papyrus. Students practice the type of exercises that were commonly done in ancient schools (normally in English, though Latin and Greek are also available on request), and do so in a setting that uses the ancient rather than modern educational conventions. These conventions include a mixed-age classroom in which each student is engaged in a different task, no lecturing from the teacher, and students working individually at their own pace. You can watch a short (8-minute) film about the schoolroom here: https://youtu.be/gjelkRKnJOQ. The film was made by Motion Blurr films (thank you Motion Blurr! ), commissioned by the University of Reading (thank you Reading! ), and features highly photogenic children from Dolphin School (thank you Dolphin!!!). A 1-minute clip is also available here: https://youtu.be/AdH6d63Y9zE. The ancient schoolroom was open for the first time in November 2014 (you can read more about that event here) and by popular demand returned in January 2016 (you can read more about that here) and June/July 2017 (find out more here). Information on the January 2019 event can be found here. The event is provided by the Classics department of the University of Reading and is run entirely by volunteers (find out how to volunteer here). For further information contact Professor Eleanor Dickey (E.Dickey@reading.ac.uk).